To that end, Sean’s just released his debut solo CD, Return to Me. While the album may or may not have been inspired by angels, there are definite hints of divine influence. Explains Sean, “The album just appeared to take shape by itself. A collection of experiences and ideas seemed to come together in a confluence of streams of thought. Instead of pushing against this torrent of sounds, I simply flowed with it, eventually riding down this wonderful river until I reached the sea. Still, all the music and talent wouldn’t mean a thing to Sean without family. “The guardian angel that my mom gave me is a reminder of that,” he says. “The guiding truth is that I know where I come from and who I am.” Amen to that. "Coming Home" live in NYC!! Reached 12th in Best of Rock chart in 2017. In the top 20 for 4 weeks. Reached 3rd in Best of Rock chart in 2016. In the top 20 for 2 weeks. Reached 37th in Best of Rock chart in 2019. In the top 100 for 13 weeks. Reached 25th in Best of Rock chart in 2017. In the top 100 for 28 weeks. Reached 24th in Best of Rock chart in 2015. In the top 100 for 37 weeks. Reached 95th in Best of Rock chart in 2014. In the top 100 for 1 week. Reached 49th in Best of Rock chart in 2011. In the top 100 for 6 weeks. Radio Stations nationwide playing "Electricity" WRNQ, KYFM, KPMX,WMXO, KBMX, KSSR, KLTZ, WIFX, WZVN, KFMI, KQLA, KLAN, KIXY, KIVA, WVIQ, KISR, KACZ, KLBQ, KXAZ, WCTL, WGMR Nearly 200 spins per week nation wide. He has a sound that really hits home with the women, along with some really powerful music. It's hard to pass Sean up; he is a hit." Sean Cox's "Electricity" is #2 in spins on WMXO, second only to Alicia Keys. Howdy music aficionados! It’s Andy Gesner and the staff from HIP Video Promo, here to introduce you to one of the Garden State’s freshest independent songwriting voices. Sean Cox is a real rocker at heart, there’s no denying that; on his debut full-length album, he leads his band through thirteen sharply-observed and earnestly-performed songs. But the tracks on Return To Me would be just as affecting if Cox had chosen to record them solo – adorned only by his acoustic guitar and likably-roughnecked vocals. 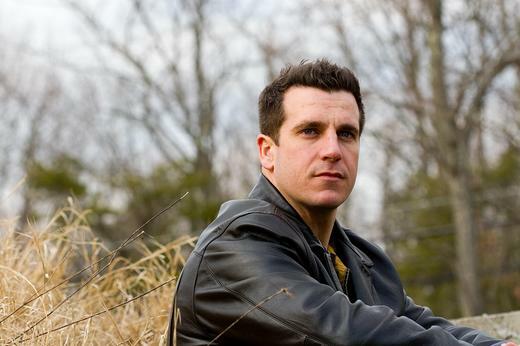 Like the best Turnpike musicians (the singer-guitarist hails from the evocatively-named Millstone, New Jersey), Sean Cox pens blue-collar narratives that are sturdy enough to stand up to a ferocious full-band treatment. 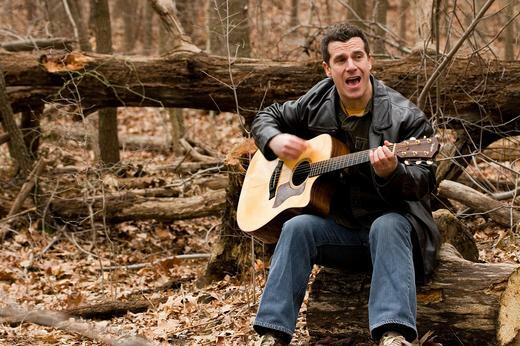 Cox and his band have opened for Simple Plan and fit right in; likewise, he’s performed his songs at Garden State coffeeshops and moved folk-rock audiences with his deftly-turned melodies. Return To Me begins with a rave-up titled “Electricity” and ends with the beautiful “Redemption”; in between, Cox sings of “Secrets”, a “Guardian”, and, tellingly, “Innocence”. “Coming Home”, the penultimate track on the album, is a prime example of Sean Cox at his best: big-hearted, plaintive, earnest, emotionally-evocative, and faithful to the spirit of rock and roll. It’s no ruminative number, though – his band roars through the track with the conviction of true believers. Cox has assembled a flexible, powerful, and road-tested unit: that’s Kevin Hupp (Joan Osborne, Rufus Wainwright) pounding the skins, C.P. Roth (Blessid Union Of Souls) on piano, and Jersey rock veterans Frank Gagliardi and Jeff Norberg on guitars. This summer, they’ll be leaving their usual Northeast haunts behind for a Midwest tour that’ll culminate with a gig at the Play: St. Louis Festival. Michael Stern of the NYC indie production house Mabus, Inc, is well-known for his mind-warping experimental films, but for the “Coming Home” video, he plays it straight. The Sean Cox clip concerns a subject that we’ve become all too familiar with over the past decade: a soldier returning from combat to his devoted (and nervous) family, and an uncertain future. There’s plenty of footage of Cox in performance, too – and he and his band are energetic, exciting, and arena-ready. But the focus here is rightfully on the story, and it’s a moving and dramatic one: the combat veteran reintegrated into a suburban setting, and his wife and children watching at the kitchen window for his arrival. Director Stern plays with perception – the footage of the family is sped up at times as they frantically prepare the house (and themselves), while the shots of the soldier are slow, reflective, elegiac. He stares out of train windows, thinking perhaps of all he’s experienced, and wondering if it’s unfit him for contemporary society. When he reaches the house, there’s no such ambivalence: his wife embraces him as the clip fades to black. We’re psyched to be working hand-in-hand with Jersey’s own Sean Cox! He has been gracious enough to supply us with a substantial stock of his new album Return To Me, so don’t hesitate to get in touch with us here at HIP to nab yourself a copy. As always, we’re here for all of your on-air giveaway needs. If you need more info, call Andy Gesner at 732-613-1779 or e-mail us at HIPVideo@aol.com. You can also visit www.SeanCox.com or www.MySpace.com/AcousticSean to find out more about Sean Cox. The Review Being a music critic means that I get many albums in the mail. Some of them I eagerly listen to and thoroughly enjoy while others languish in a pile on my desk that seems to constantly build with no sign of stopping. From time to time, I pick up one of these albums, usually when it’s a slow week, and see if it is worth your time and money. Sean Cox is a name you probably haven’t heard of yet. Residing in Millstone Township in good old New Jersey, Cox is a gym teacher at a local school whose passion is writing and recording acoustic-laced songs with Christian undertones. After years of working on material and releasing demo tapes, he was noticed by producer Kevin Hupp and given a chance to record a full length album. 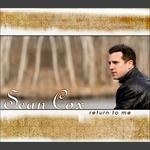 Return To Me is the result of Cox’s hard work and an album that has its fair share of problems, but may surprise a lot of people with quality songwriting and some potential blockbuster hits. First track “Electricity” is one of these potential hits. It’s everything that a radio hit has; a catchy chorus, acoustic guitar galore, soothing piano and violin section, and emotional vocals from Cox. This formula is repeated throughout Return To Me, with varying levels of success. Current single “Coming Home” is one of the few upbeat tracks on Return To Me, with Cox and his band mates on fire. Hell, there’s even a keyboard solo that comes out of left field. The fast paced songs are where the energy and excitement lie on the album. “Somewhere Right Now” and “Guardian” bring the rock on and sound like hyper versions of older John Mayer tracks. The problem with Return To Me that there are too many slow tracks piled onto the middle of the album. I don’t mind some straight up acoustic numbers from time to time, but the album could have benefited from more upbeat tracks, as Cox seems more confident and full of energy with the upbeat tracks than with the slower songs. A few of the longer tracks plod along (“Innocence” and “Letting You Know”) and go basically nowhere musically, showing that Cox needs to improve on making longer songs more enjoyable. Some of these tracks work though, mostly due to the confidence tone in Cox’s vocals and the dramatic nature of the lyrics. “Follow You” is about the lost of Cox’s mom and hits all the right notes without getting too cheesy or overdramatic, with a nice bluesy feel to it. “Lost and Lonely” is the most confident Cox sounds on the entire album and has some great acoustic work with a steady piano in the background. “First Word,” I believe, is about the first word Cox’s son told him and is a ballad that has a lot of passion behind it. If I could recommend this album to anybody, it would be a person of the female race. Women will eat Return To Me up and ask for seconds afterwards. I would definitely not crank this up in front of my metal loving friends. So, for most guys, Return To Me is a guilty pleasure that you listen to in the car on the way to work or when you are in the mood for uplifting and catchy music with some soul behind it. Cox could become the next big thing in “adult contemporary” as long as Return To Me can pick up some steam on the radio and in the press. The 411: Sean Cox has put out a debut album that could become huge for him. The songs are there, the production is great, but the result is less than grat. The album starts out strong, plods along in the middle, then comes back with the last few tracks before ending with the mediocre "Redemption." Cox has a lot of talent and hopefully continues to work at his music, as I think he could have a blockbuster of a career in the future. Spirit of Freedom In its 27th year, the Long Lewis Ford Spirit of Freedom celebration combines food, fun and fireworks for Independence Day to create one of the city's most anticipated events. The event is at McFarland Park from 10:30 a.m.-10:30 p.m. Friday. It will include food vendors, a fireworks show and headline performances from Sean Cox, Small Town Sleeper, Kasper from the K, Landon, Dem Franchize Boyz, Steve Holy and Skid Row. The Shoals Radio Group hosts the event and, according to Brian Rickman, regional director of programming, they wanted to create an event to bring people together. The main goal is to give back to the community," he said. The group owns six radio stations with differing formats including rock, urban and country. Rickman said another goal is to make the event more "eclectic" by combining different genres of music. He said they wanted attendees to be able to enjoy themselves according to their tastes and interests. We decided we wanted to make it an event that encompassed everybody," Rickman said. The main stage will feature the national artists, and the second stage is for local talent including Byron Green, Malcolm Singleton, Lauderdale, Sons of Howell, Pine Hill Haints, Break, John Paul White and Firewood. There also will be a classic car show for the first time. We don't really see a lot of national acts come through the area," Rickman said. "That's one of the big things we want to do for Spirit of Freedom." Molly Alston, event coordinator with the Shoals Radio Group, said more people are expected to attend the event this year since fewer people are taking vacations and because it is on a Friday. People don't have to go to work the next day like they usually do," she said. Alston said each year the music is the main thing that attracts the large crowds. We do have a good lineup of entertainment," she said. "That has been one of our largest draws." The fireworks show, which draws crowds to the bluffs and high vantage points surrounding the park, starts at 9 p.m. For more details, call Shoals Radio Group at 383-2525. Mix 108 welcomes Small Town Sleeper and Sean Cox in concert July 17, 2008 by admin Filed under Media Advertisement Mix 108 (KBMX 107.7-FM) is proud to welcome the rock band Small Town Sleeper and solo artist Sean Cox to the Head of the Lakes Fair Friday, July 25th! Also, both Small Town Sleeper and Sean Cox will be appearing at Ace’s on 29th in Superior (2827 Oakes Ave) for a FREE “Guitar Hero” video-game challenge starting at 8pm on Thursday, July 24th. Cox will also perform a short acoustical set for fans. The public is invited to this FREE party to win some great prizes and meet these up-and-coming stars! Small Town Sleeper is known for their hit “Backseat”, which has been one of Mix 108’s top-played songs this summer. The Urbana, IL-based group opened for Daughtry in the summer of 2007 and recorded their debut album “Conversations” on Upper 11 records in 2006. 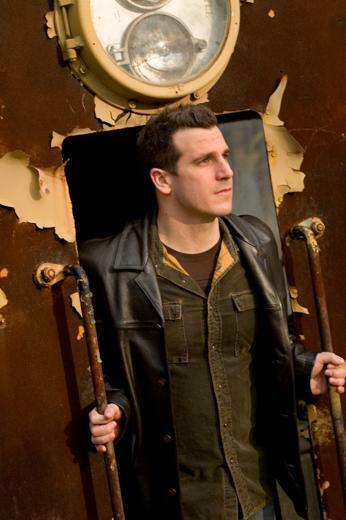 Check out the band’s website at: www.smalltownsleeper.com Sean Cox is known for his rising hit “Coming Home” which has been rapidly gaining popularity on Mix 108. Cox started his career as a member of a band that won a national Hard Rock Cafe’ competition and opened a concert for headliner Simple Plan. He’s since recorded his debut solo CD “Return To Me” which was mixed by Grammy Award-winning producer Peter Moshay. Check out the band’s website at www.seancox.com Mix 108 is giving listeners a chance to win V.I.P. tickets to the concert complete with front-row tickets, backstage passes and a free catered meal, provided by Famous Dave’s BBQ before the show. The concert also includes the rock band Cracker. Call Corey Carter, Mix 108 Program Director, for more information at (218) 727-4500. – Source: Mix 108 press release. Radio Stations nationwide playing "Coming Home" WWKZ, WSKS, KYFM, KPMX,WMXO, KBMX, KSSR, KLTZ, WMSR, WIFX, WZVN, KFMI, KQLA, KLAN, KIXY, KIVA, FMM, WVIQ, KBRL, KISR, KACZ Nearly 300 spins per week nationwide.